Do you remember the first time you saw this? I will never forget the first time I saw David Bowie's 'Let's Dance' video, probably years after I first heard the 1983 song. I was utterly fascinated by it. I just sat there, in a bit of a trance. 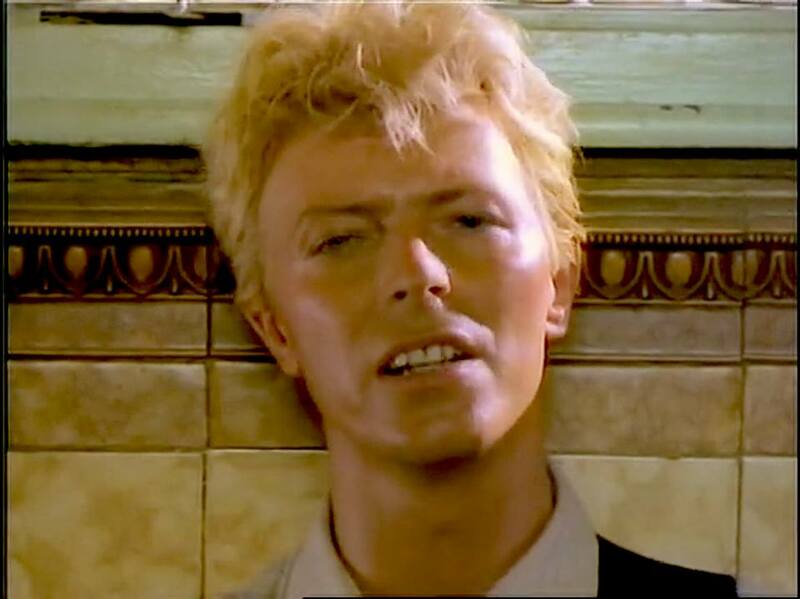 David Bowie filmed this by then already-a-classic song in an Australian pub? It's in the outback, in a pub full of mesmerising, dinky di, Aussie-as characters doing a some very fabulous freestyle dancing, some with beer-in-hand, with an Australia sloppy joe chucked in, too. It's totally a snapshot of that time and place, and the place was a pub in Carinda, a town in the far north of New South Wales, Australia, in the Walgett Shire local government area. And to see the Aboriginal community represented in a music video - brilliant. They weren't just 'props', either. They tell a story, but you want to know more. The red shoes, the trip into The Strand Arcade (old Australiana footage - the best), the juxtaposition of the cultures. I was intrigued. What IS this filmic gift? Australian-based, UK-born journalists Ed Gibbs and Rubika Shah thought long and hard about this too (three years' worth of thought and thorough research), and have made it their mission to dig up much, much more about this seminal video clip. The result? This. 'Let's Dance: Bowie Down Under'. It's a much-anticipated documentary, and in news just in, the film's Australian premiere will be on Sunday August 9 at the Melbourne International Film Festival. (Stills below from the Let's Dance: Bowie Down Under Facebook page - follow them here). 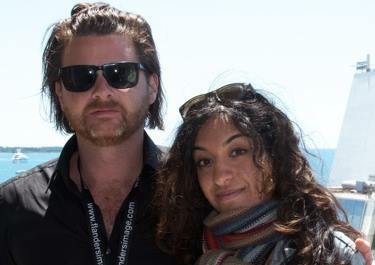 Josie's Juice asked both Ed and Rubika one question: what this film means to them. Says Ed Gibbs, writer/producer on 'Let's Dance: Bowie Down Under': "I have been intrigued by this era of Bowie's career for years. Watching the seminal video for 'Let's Dance' (and its follow-up, 'China Girl') left an indelible mark on me as a young kid. It also gave me a completely fresh perspective on Australia. Fast-forward more years than I care to mention, and we have had an amazing experience uncovering the forgotten story behind these landmark videos. I can't wait to screen the film in Australia." Says Rubika Shah, writer/director on 'Let's Dance: Bowie Down Under': "The values at the core of the story really resonate with me personally and it’s just so great seeing the forgotten stars of the video recognised for their part in Let’s Dance." The music video was made by David Mallet, and Bowie himself described this video (and the video for 'China Girl') as "very simple, very direct" statements against racism and oppression ('Rolling Stone' magazine interview, with editor Kurt Loder). In 'Let's Dance: Bowie Down Under', Ed and Rubika include previously unreleased footage of Bowie in Australia, and it will feature interviews collaborators, crew, and Loder. The stars of the vid - Joelene King and Geeling Ng - also feature. Give their Facebook page a like - you can follow the film's progress on the Let's Dance Facebook page here. 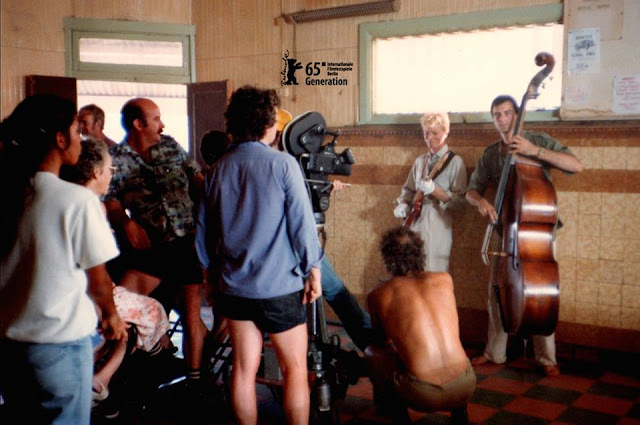 Starring David Bowie (archive footage), David Mallet, Julien Temple, Joelene King, Geeling Ng, Ross Cameron, Marcia Langton, Norman Jay, Kurt Loder, and Matt Coyte, the film's Australian premiere at the Melbourne International Film Festival will be a fabulous complement to the ACMI (Australian Centre for the Moving Image) 'David Bowie Is' exhibition also next month. Let’s Dance: Bowie Down Under to premiere during MIFF on Sunday August 9, 2015.